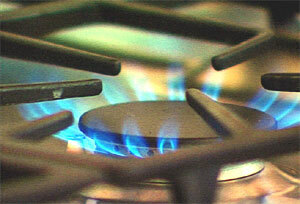 Gas appliances offer the advantages you're looking for. Whether we're talking about space heating, water heating, cooking, fireplaces, the great new gas clothes dryers, or extras like outdoor lights and barbecues, gas beats electricity on performance because today's gas appliances are economical and clean burning. You can add comfort and convenience to your lifestyle while saving on your overall energy costs! You are making a good environmental choice with gas because it is a clean burning, non-polluting energy source. You will be doing your part to keep the environment clean and safe!